﻿﻿﻿﻿﻿﻿﻿﻿Bastrop State Park's historic Lost Pines golf course is seeking a new operator. ﻿﻿﻿﻿﻿﻿﻿As far as “help wanted” ads go, this offer’s quite unique. 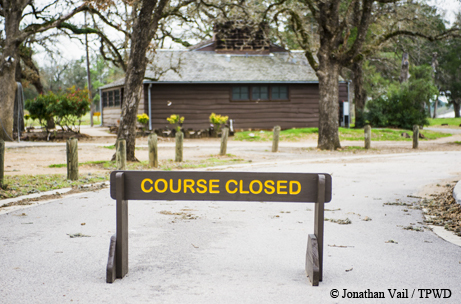 How’d you like to run a historic golf course, one that’s due to celebrate its 80th birthday in a few years? If the answer is affirmative, look no further than Bastrop. As you travel Texas Highway 71 between Austin and Houston, you’ll pass through a town that calls itself the “most historic small town in Texas.” Bastrop offers more than 130 historic buildings, plus shopping and resorts, restaurants and recreation, but it’s the area’s natural beauty that makes it so memorable. East of town stands a stretch of loblolly pines, known as the “Lost Pines of Texas,” so named for the fact that their closest genetic relatives are the majestic pines of East Texas, more than 100 miles away. Nestled inside this unique natural feature lies Bastrop State Park, a 6,600-acre recreational haven for locals and tourists alike. Opened to the public in 1937, the park was originally developed by the Civilian Conservation Corps and the Works Progress Administration throughout the 1930s as part of President Roosevelt’s New Deal. Development included cabins, a refectory, a swimming pool and a nine-hole golf course. Because of the lasting legacy of the CCC work, the park was named a National Historic Landmark. The golf course expanded in 1997 from its original nine holes to a full 18-hole course, now covering 135 acres. “It’s just a piece of the fabric of this community,” says Jamie Hackett, Bastrop State Park superintendent. In September 2011, the worst wildfire in Texas history tore through much of Bastrop County, burning a significant portion of the park. Thanks to the heroic efforts of the park staff, firefighters and others, the historic structures and the golf course were spared from damage. In fact, the golf course is frequently cited as one reason the fire did not reach the heart of the city of Bastrop. The Lost Pines Golf Club, a nonprofit entity, recently ceased management of the Bastrop course after several decades, opening the door for a new operator. The department is currently accepting proposals to find the next golf course operator. Interested parties can request a prospectus by calling (512) 389-8086 or by emailing LeasedConcessions@tpwd.texas.gov. Considering the magnitude of operating a golf course, the state has leased this operation to a private entity for its entire history. These partnerships with the state are referred to as leased concession operations. “These arrangements are vital to creating recreational opportunities for visitors, while facilitating profit and growth for both the concessionaire and the state park system,” says Austin Vieh, leased concession manager for the Texas Parks and Wildlife Department. To assist with the revitalization efforts, TPWD plans to help finance improvements to maximize the course’s customer appeal. A golf course isn’t the typical state park offering, and TPWD has only a couple of courses in its inventory. 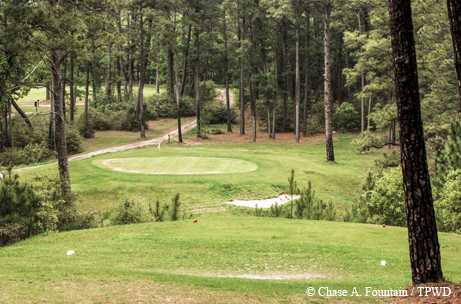 Besides the Bastrop course, TPWD operates a nine-hole course at Lockhart State Park. Inks Lake State Park halted operation of its nine-hole Highland Lakes Golf Club in 2010, citing declining visitation.